Gary Hunt the editor of Australia’s leading road cycling magazine Bicycling Australia rode the Maratona dles Dolomites as a guest of Brevet. 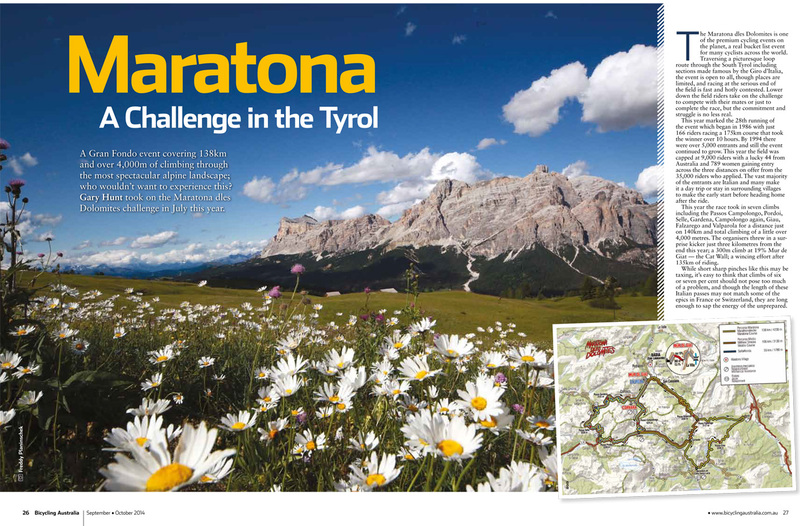 The infamous climbs of the Dolomites feature regularly in the Giro d’Italia and form the perfect circuit for the Maratona dles Dolomites – Italy’s grandest granfondo! You cannot begin to imagine if you’ve not encountered these mountains personally is the sheer jaw-dropping overwhelmingness, the breathtaking magnificence of them. To be able to ride a bike through this area is a real privilege, and to complete a challenging event like the Maratona in these spectacular surrounds is very special; an experience that will stay with you forever. It was pleasure to host Bicycling Australia magazine as Gary Hunt experienced riding in Italy’s magical Dolomites region for the first time. 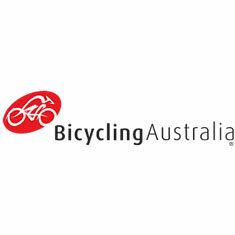 To read the full article buy a copy of the September 2014 edition of Bicycling Australia or download this PDF of Bicycling Australia’s Maratona Review. The question we are asked most often by prospective guests is do you think I can do it? Our answer is always the same – set a big scary target, commit to it, follow our training advice in the build up and ask our guides for one on one help and advice whilst we are in the mountains! The Brevet guides provide useful expert coaching and advice in the days leading up to the Maratona about how to deal with the speed but also the sheer number of riders you’ll ride with on race day, and especially how to ride safely and smoothly amongst them on the descents. If you’d like to ride the Maratona dles Dolomites with Brevet then Get In Touch today or check out the holiday details here: Maratona dles Dolomites cycling holiday. The Brevet guides made the trip an absolute pleasure. They were well organised, friendly, helpful and very well-credentialed.